Have you seen Sundry for J.Crew yet? I am in love with their tees and wear my La Joie tee like it's going out of style. 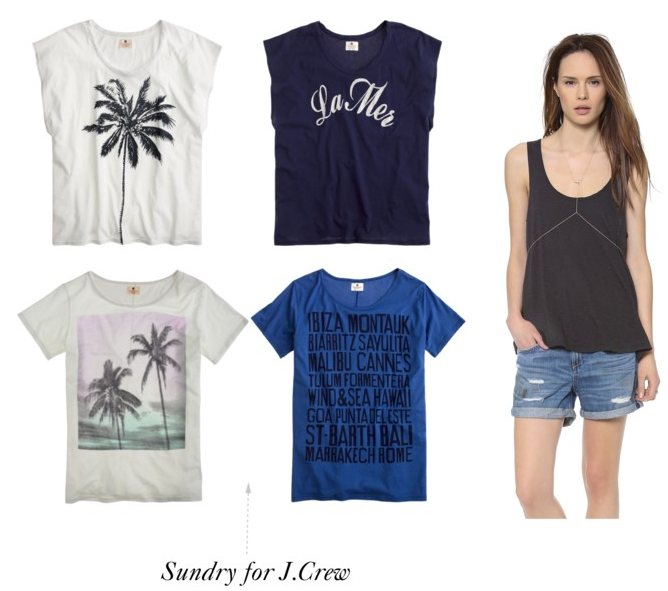 The new Sundry for J.Crew tees are perfect for summer. They capture the essence of the dreamy California beachscape in gorgeous palm tree prints and soft, subdued colors. The La Mer tee is my favorite, but you can't go wrong with any of these Cali inspired tees. You can also find a great collection of Sundry over on Shopbop incuding tanks, sweats, and tees. So cute! Love all of these. These are cute! I had not seen then yet! Love that La Mer tee! Graphic tees... need them all. Phone date soon please!